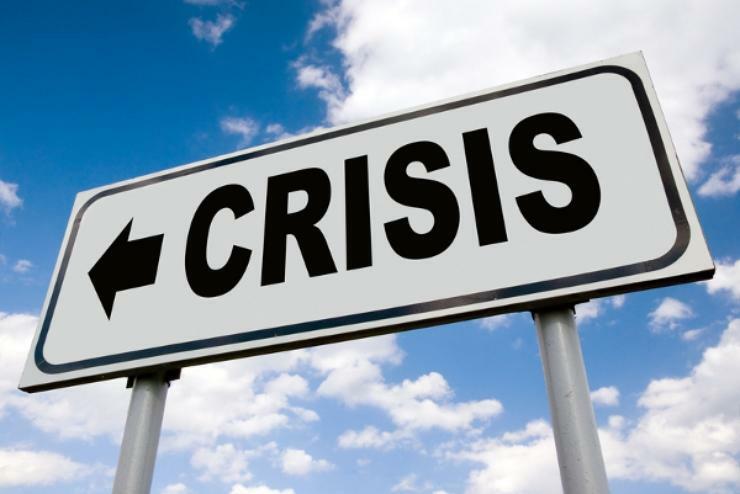 As Blackberry continues to sign up A/NZ partners for its crisis communications software AtHoc (the Bank of New Zealand is the latest to come on board), Macquarie University is already seeing tangible results in how it operates and prepares to respond to crisis situations. Last year, Blackberry's AtHoc team deployed the communication platform to the university’s Sydney campus in a bid to support 40,000 students and staff. Indeed, there’s lots of activity in the crisis communications arena. Recently, Blackberry launched a crisis communications and incident response initiative in Melbourne, with Australian partner Briggs Communications. As part of the public safety initiative, the networked communications platform will help organisations in Greater Melbourne connect with each other in the case of an incident, obtain and share factual information and help maintain business continuity. BlackBerry AtHoc is being offered as a shared solution, establishing a critical incident communication network which can connect places of mass gatherings such as stadiums, malls and convention centres, as well as infrastructure such as hotels, hospitals, schools, universities and businesses. Additionally, the company struck partnerships with Australian carrier, Optus Business, Mobile Mentors in New Zealand, and Briggs. “Those partners will deliver, deploy and support BlackBerry AtHoc in the region, including innovative new technology features which automate personnel accountability and crisis communication processes,” the company said. CIO Australia caught up with Macquarie University property security manager, John Durbridge, to discuss the implications of using the latest in crisis communications technology, and how it ultimately affects staff and students. With the escalating number of incidents - from cyber attacks like the WannaCry ransomware, to natural disasters, and acts of violence like the Bourke Street incident in Melbourne - Australian businesses - and universities like Macquarie - are increasingly tasked with effectively responding to crisis situations. CIO Australia reached out to Macquarie in a bid to get its story about incident response in the higher education arena, and the latest tools to help combat the escalating challenges. How is Macquarie using AtHoc? John Durbridge: Our university uses Blackberry AtHoc for all its mass communication needs as they present themselves during emergencies or other such critical incidents. Being able to effectively and efficiently broadcast to many thousands of the organisation’s people in a very short period of time is critical in the event of any emergency or incident occurring. An important component within the university’s emergency management plan is communications, and the Blackberry solution caters very well for all of these requirements. How is the technology helping staff and students? JD: We currently have over 40,000 students and around 3,500 staff so Blackberry AtHoc is an essential tool for us as it enables us to broadcast simple, succinct messages that contain important information, instructions and updates to our stakeholders. The messages are formatted either as pre-determined content or they can be produced through the “free texting” option within the system. An important feature of the system for us is the “response option” whereby any message that is sent can have responses embedded into the body, thus allowing for simple but very effective two way communication. As the central point of contact in any on-campus emergency, the university’s Security Control Centre is the author of any emergency messaging. All university staff and students are enrolled into the system upon joining the university, through various active directories, and messaging targets both email (university and personal) along with SMS notifications to ensure we reach all stakeholders quickly and efficiently. We use the Blackberry AtHoc system on a daily basis, so that control centre operators develop a muscle memory in its messaging operations, ensuring that the operators are confident in sending a message(s) during an incident. The reporting functions of the system allow for real time delivery/response information, and the audit trail process is one which is regularly interrogated during any de-brief of an emergency event on campus. JD: One of our greatest challenges is how to effectively communicate with (at times) many thousands of staff and students in a timely manner. Through the Blackberry AtHoc software, we are able to automatically maintain user information (such as email addresses, mobile phone numbers, etc). We can target the entire campus, or just one section or building, through the way that the user information is displayed within AtHoc (my active directory listing details my building location, so a message can be targeted at that particular building rather than that particular person/user). It allows for one format message to be delivered through a number of very different channels (such as to emails or SMS, or both in the case of Macquarie). The system provides an understanding real-time as to how many messages have been sent, how many have been delivered, and how many have been responded to (including drill down lists of those who have or have not responded). The system can also be deployed to advise users not to attend the campus, where an emergency situation may be unfolding, and these users may be spread wide across the city at the time of receiving the message. All of these items mentioned are major features of the AtHoc software. Technology in this format has replaced much/most of the older practices of emergency management from days gone by. Has the university seen major results? JD: Yes. As the system operates in real-time, the efficiency of our emergency messaging has improved enormously. We are able to send multiple messages, thus ensuring that our stakeholders are kept well informed about the situation, and also any instructions being issued by our emergency management response to aid in the stakeholder’s safety. The automation of the user information, including a self-service portal for users to personally update their contact information has greatly enhanced the accuracy of the information that is currently held in the system today. JD: There are a lot of benefits in rolling out further communication delivery channels for AtHoc to use during emergency messaging, such as Facebook, desktop pop ups and audio files to large screens/monitors. As part of the (regular) current review and update of the university’s Emergency Management Plan, I believe that this will be part of the recommendations, and for implementation in the near future.